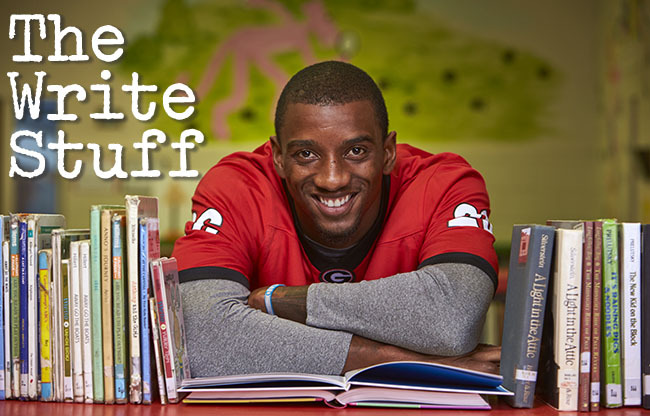 Long before Malcolm Mitchell learned to evade Southeastern Conference cornerbacks, he mastered escaping something else: reading. In high school, the Valdosta, Georgia, native procrastinated on homework assignments. When he was asked to read aloud in class, he'd try to create a distraction by debating with his teachers. On days when he thought his usual tactics wouldn't work, he often just skipped class. In January 2011, the four-star prospect committed to the University of Georgia. As his college football hopes became a reality, he realized he couldn't run from reading any more. "I was probably reading at a middle school level, and it was becoming a problem," Mitchell says. "Playing football in front of 92,000 fans every Saturday seemed easy, but I dreaded reading aloud in front of anyone, so I wanted to become more well-read for myself." He transformed from an athlete who never had a favorite book growing up into an avid reader — and eventually an author. Now, as he prepares for the NFL draft this spring, he's eager to share his love of reading and encourage others to reach their potential with every turn of the page. Mitchell immediately developed into a star for the Bulldogs. He earned freshman All-SEC honors, and in his first two seasons he had eight touchdowns and 1,237 receiving yards. He also made steady improvements as a reader. Then, in 2013, he suffered a serious knee injury in the season opener against Clemson. While he was sidelined, he began to focus more on his off-the-field work. "You never want to be injured as a competitor," Mitchell said. "But that's when reading really skyrocketed for me." ​Everywhere Mitchell went, he carried a book with him. He immersed himself in the works of authors like J.K. Rowling (the Harry Potter series) and Suzanne Collins (The Hunger Games), diving into their imaginary worlds during long days of rehab. "Reading provided an escape from what I was going through," he said. "It helped me relax and stay positive, it almost was another form of rehab." That summer, Mitchell met a local woman in the bestseller section of a Barnes & Noble store and eventually joined her book club. As the only male, he found himself interacting with people he never would have met, reading titles he never would have touched. He loved every second of it. Mitchell returned to the field in 2014 for his junior season (he was Georgia's comeback player of the year), but that didn't slow his reading. With each paperback he conquered, Mitchell's writing skills drastically improved. Last August, he published his first book, The Magician's Hat. In this children's story, a magician named David helps kids discover the magical power of reading. 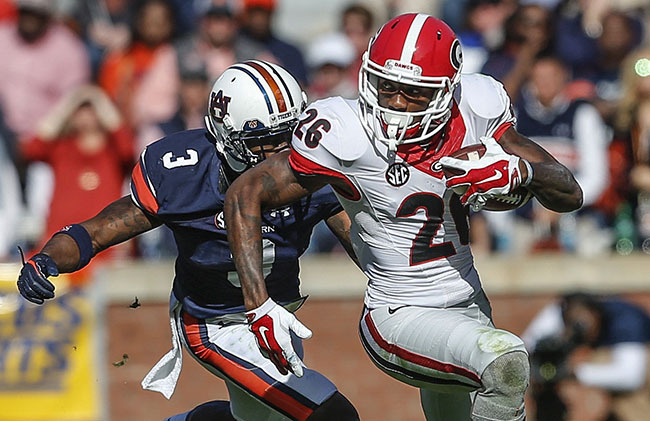 In his final season at Georgia, Mitchell had career highs in receiving yards (865) and touchdowns (five). After graduating in December, he began to prep for the NFL draft -- picking up concepts, memorizing plays, and reading defenses much faster than he used to. "My mind is on a different level now," he says. "Reading has opened the doors for so many opportunities that I would have never foreseen happening in my life. There are endless possibilities. It is possible to reach your full potential. It absolutely takes place when you pick up a book and read."